Even though we were created for loving, intimate relation­ships, we’ve lost our understanding of how to find and maintain them. Andrea Gurney wants readers to discover more authentic connections that aren’t made of wishes, so she equips us with practices from psychology, biblical truths, and lessons from relationship science. She also helps us examine our develop­mental history, including how cultural and familial messages take root in our psyches. Together, these tools craft a solid foun­dation on which lasting love can be built, rather than a pumpkin carriage that disappears when the clock strikes midnight. 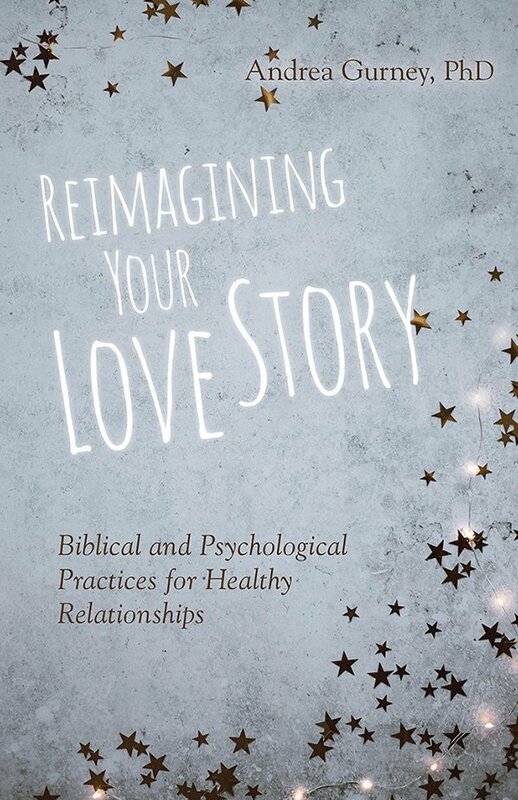 If you are disillusioned by unattainable societal standards, in need of healing from damaged relationships, or simply want to improve at relating well with others, you’re ready for Reimagining Your Love Story. “She masterfully identifies patterns and highlights opportunities for growth, deconstructing myths about love and relationships, and most importantly, inspiring us to reclaim our stories of love in all of their true potential.” Cynthia Toms, Ph.D.
Everyone Receives a FREE Printable Immediately upon submission to print at home. First 50 book PreOrders receive a 10 minute consult with Dr. Andrea Gurney by Phone. First 5 book PreOrders over 10+ books receive a 30 minute consult with Dr. Gurney by Phone. You have successfully redeemed your PreOrder! Check your inbox soon for your FREE printable and further instructions.